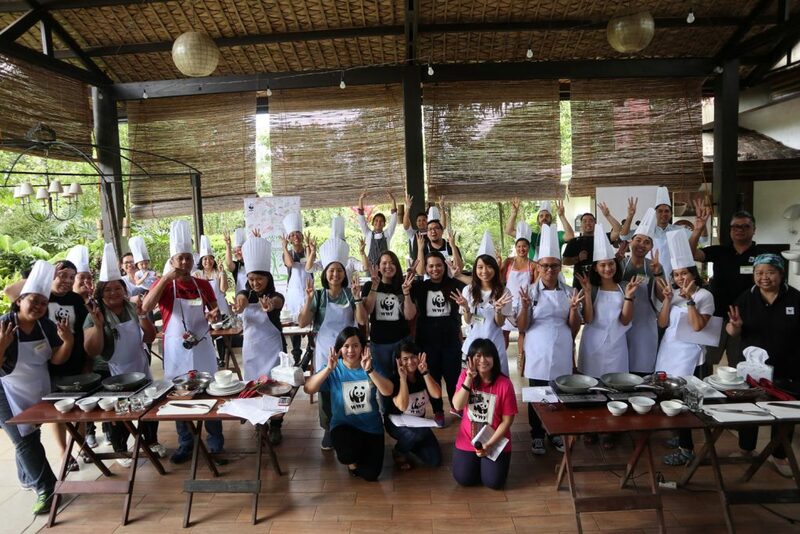 I hope you enjoyed reading part 1 of my recap about what happened during WWF-Philippines’ The Sustainable Diner Workshop “Savour Planet: Cooking with a Purpose” at the Nurture Wellness Village in Tagaytay City, Cavite, Philippines. 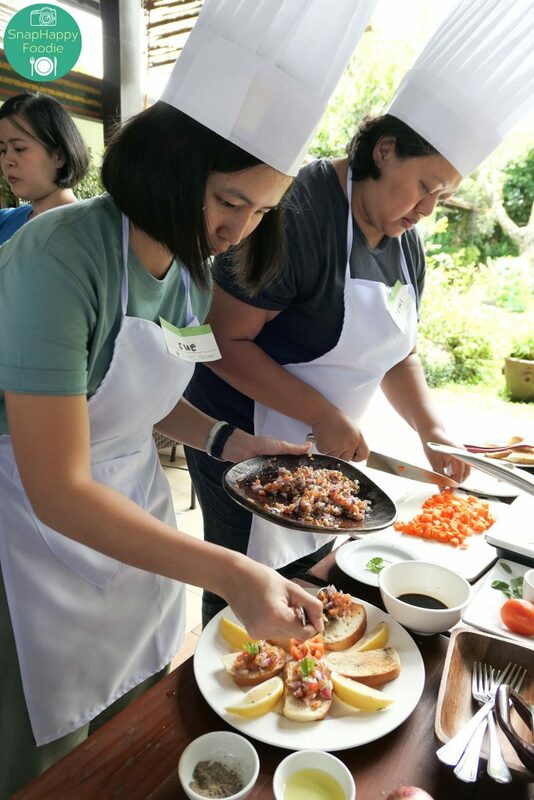 This time, I’m sharing what happened during The Healing Kitchen Cooking Session. What was the reason behind the workshop? Filipinos love to eat and to eat out. Pair that with the proliferation of food service establishments and what do you get? A staggering volume of food waste. In Metro Manila alone, about 2,175 tons of food are wasted and thrown away daily. This seems like a chicken or egg situation to me. The more restaurants there are, the more people eat out. The more people eat out, the more restaurants pop up. We have a vicious cycle that threatens our planet. Sadly, the food service industry doesn’t really utilize sustainable practices to help reduce food waste. But with the looming threat on our food security, everyone must work together in making sure that no one goes hungry. But it’s not all doom and gloom. 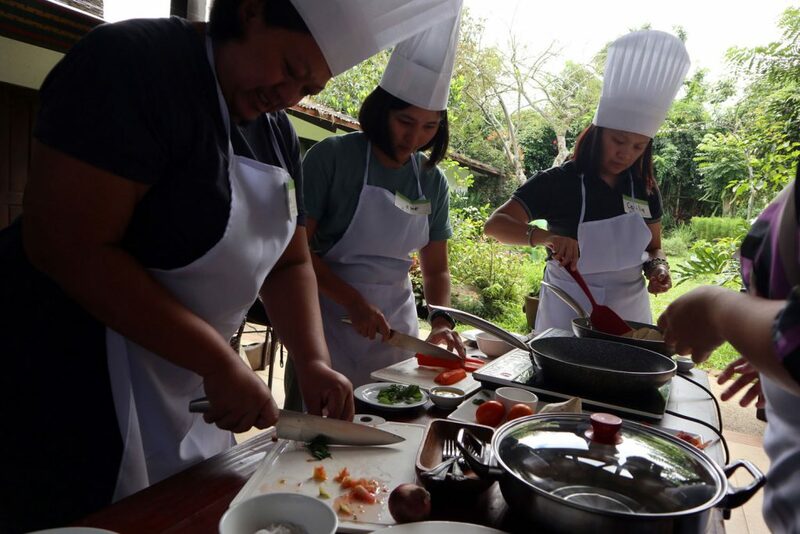 The cooking session was an opportunity to remind us, the participants, that we all need to learn/re-learn how to cook our own food and to pick ingredients straight from the source. 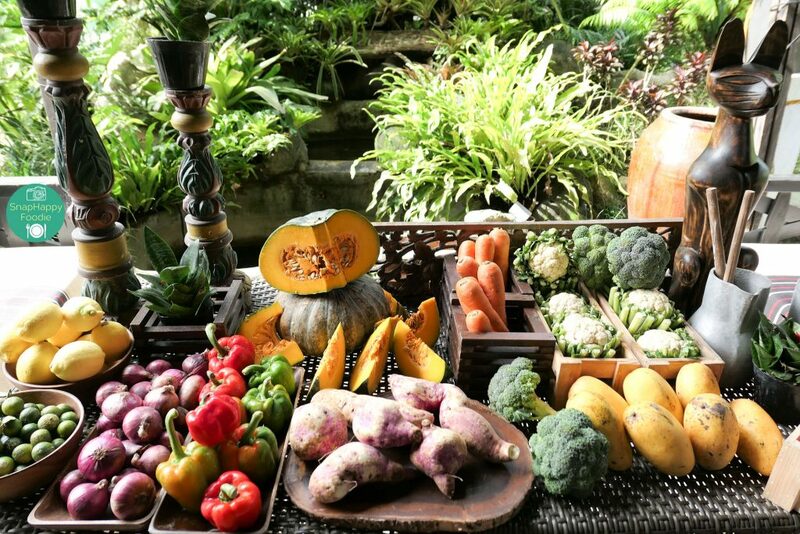 Just look at the table below – it’s proof of how beautiful and colorful locally grown fruits and vegetables are. 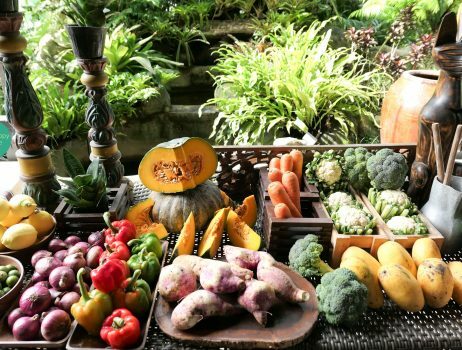 “Eat a rainbow of colors often,” simply because colorful food has such amazing health benefits, especially when grown organically. We were going to use the ingredients during the cooking session. 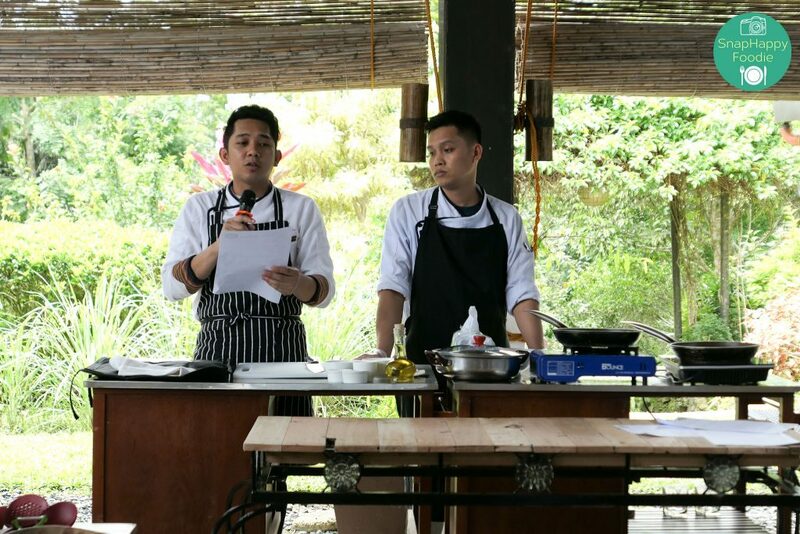 After the micro-talks, we were grouped together in four teams and assigned our respective stations for The Healing Kitchen Cooking Session. I was teamed up with Dewi, Lady, Tina, EJ and Sue. We had to wear the aprons that were inside our swag bags, as well as toques. I probably didn’t wear my toque correctly, but with my big head, it was easier to wear it that way. 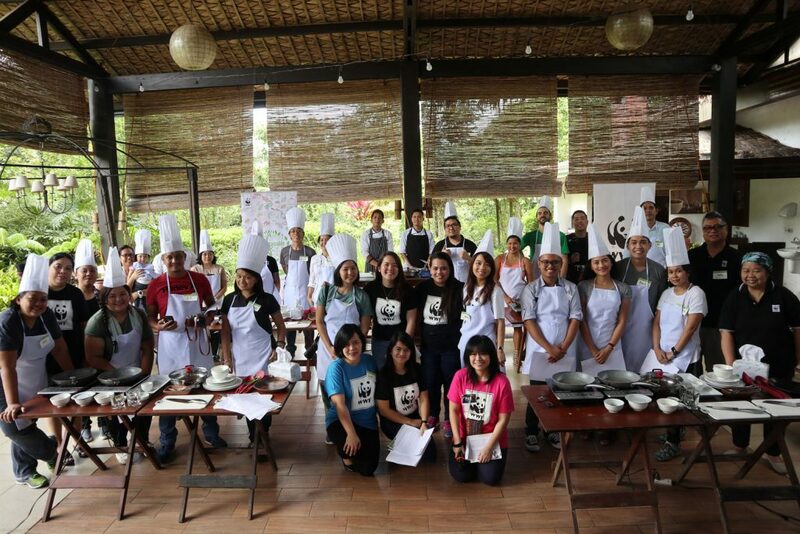 Before the cooking session started, we had our group pictures taken. 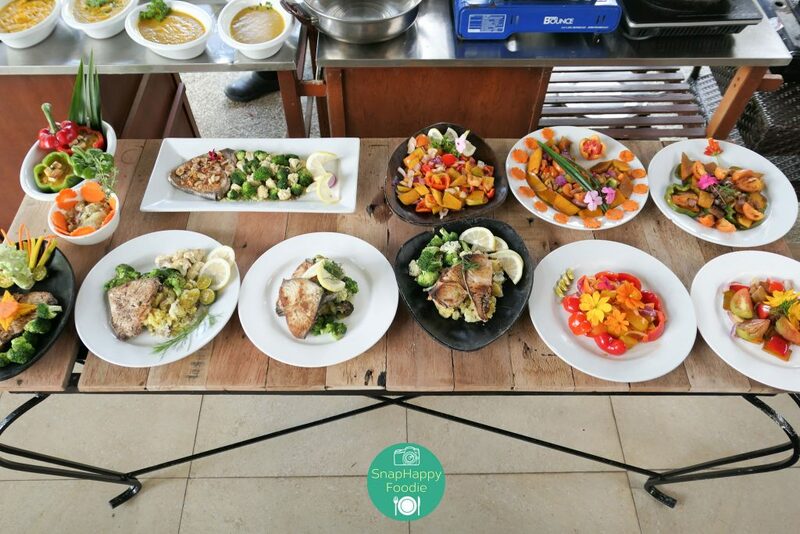 The chefs conducted the cooking demonstration and we were supposed to replicate what they did using ingredients that were available, healthy and locally sourced. 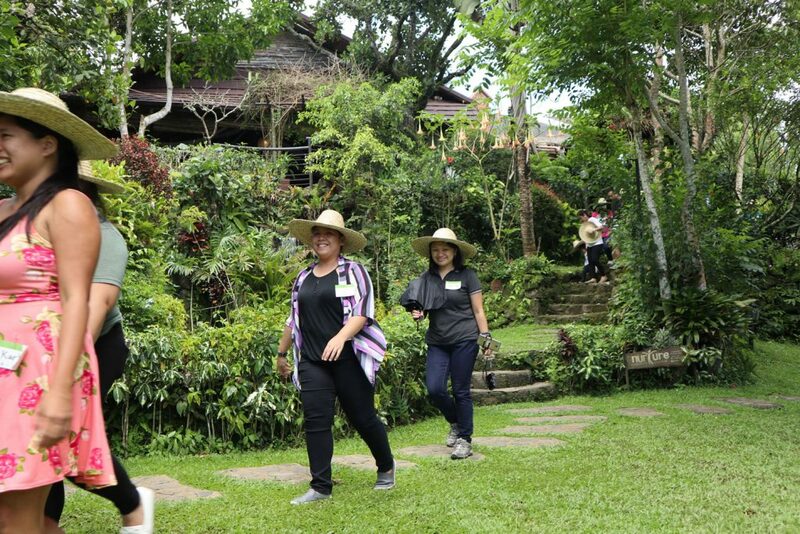 They even gave us access to the Chef’s Garden where we can get the herbs and edible flowers that we needed for the cooking session. The first thing we made was this Mango Buco Parfait. 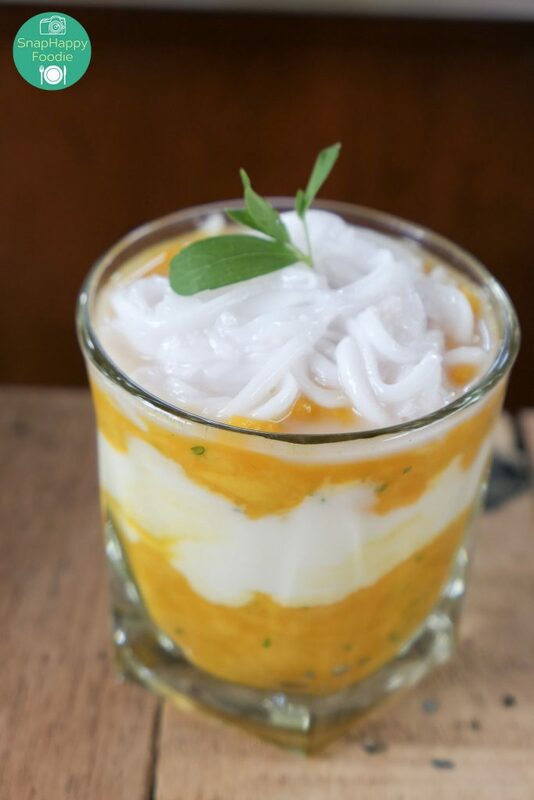 We mashed mango slices and mixed it with chopped stevia leaves then placed it in the glass as the bottom layer, followed by a layer of yogurt, then mango again and finally topped with buco. 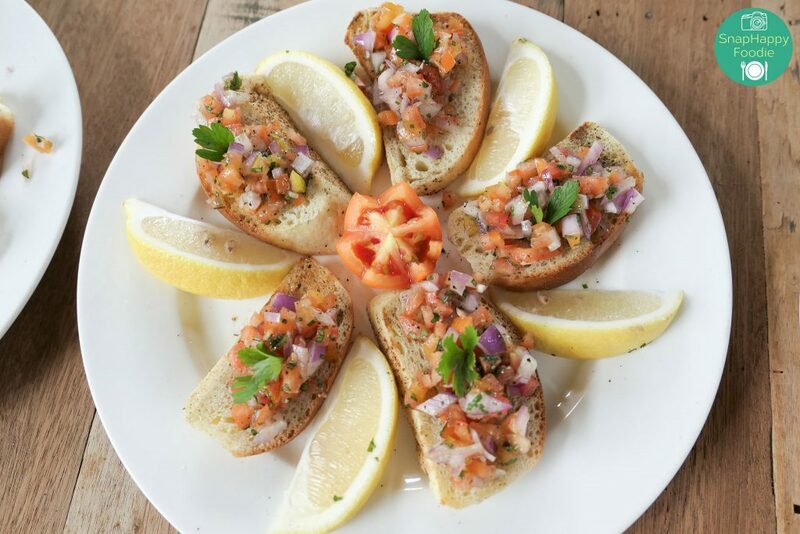 The next thing we made was bruschetta. Yes, that’s me toasting the kale pandesal. 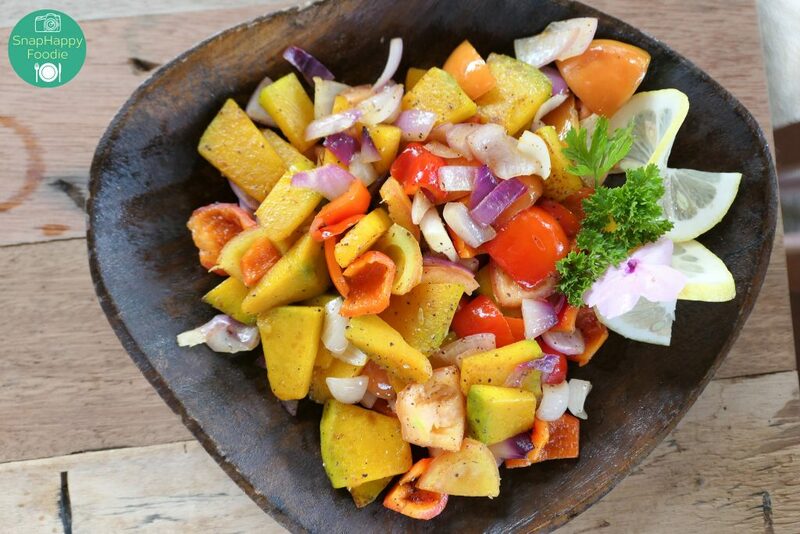 Then we made this very vibrantly hued Roasted Vegetable Salad. . .
. . . followed by this Sweet Potato Soup. 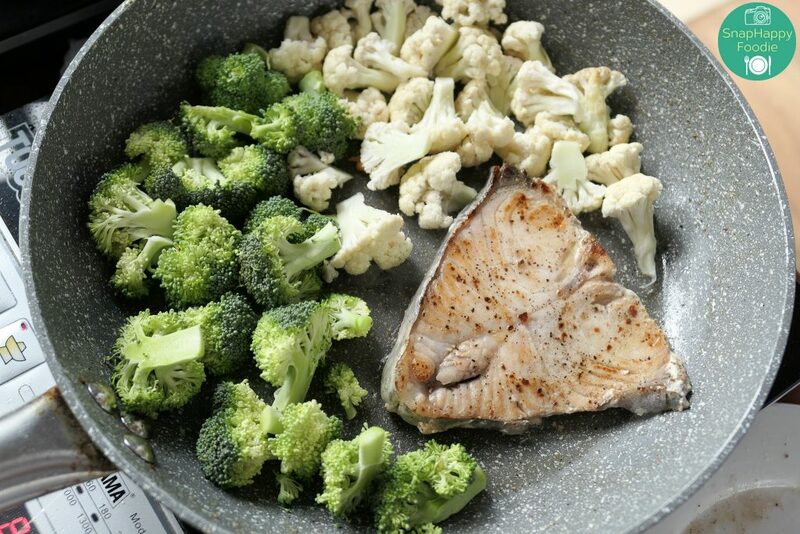 The last thing we made was this Tanigue with Broccoli and Cauliflower. This is how our version ended up. 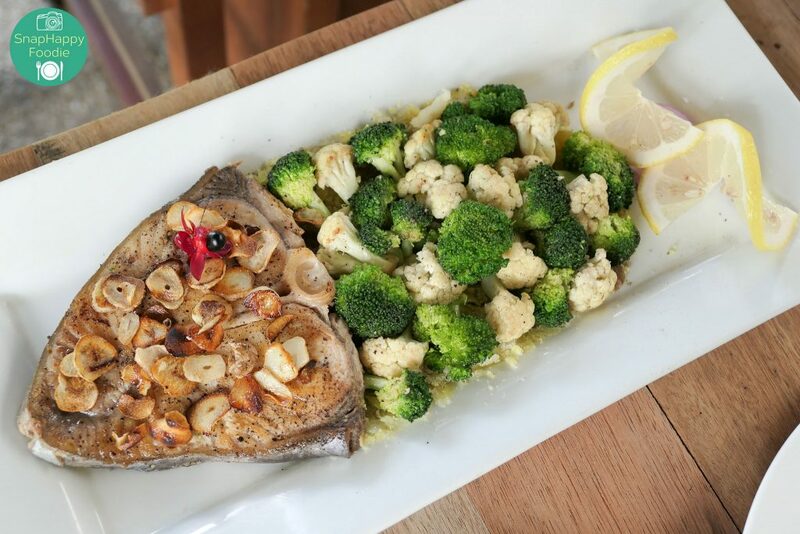 My teammates had this delightful idea of shaping our dish like a fish. Now here are the results of everything we all cooked during the session. Different teams, same recipes, same ingredients. All tempting to look at! In a thumbnail, I totally enjoyed this fun, interactive and hands-on session. 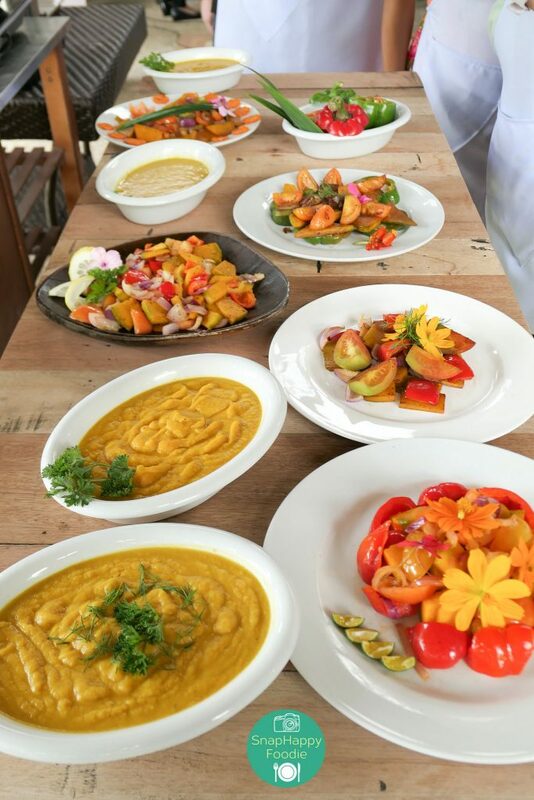 It was a perfect reminder of how easy it is to join forces with other people and create delicious, healthy food. 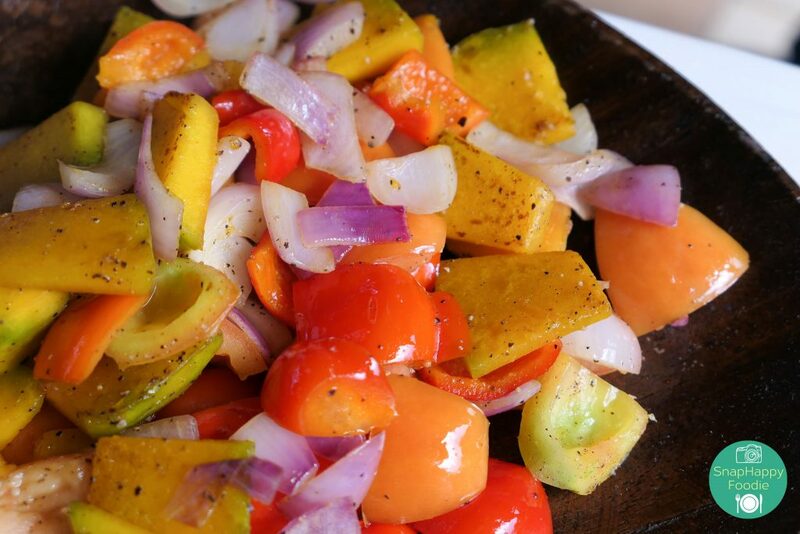 We used ingredients that are in season, so it’s flavorful and nutritious. 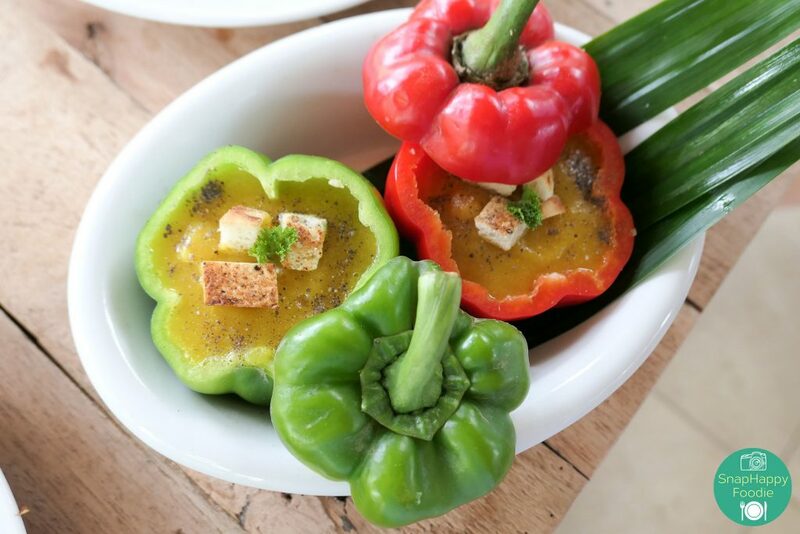 There was no need to cook them in a complicated way. Even better, the ingredients we used had zero carbon footprint because they were sourced from the nearby farm, so there was no need to ship them. It also reminded me of how accomplished and responsible I felt when I had my own little backyard container garden (you can read about it here, here and here.) way back when. Now it makes me want to have a little garden again. 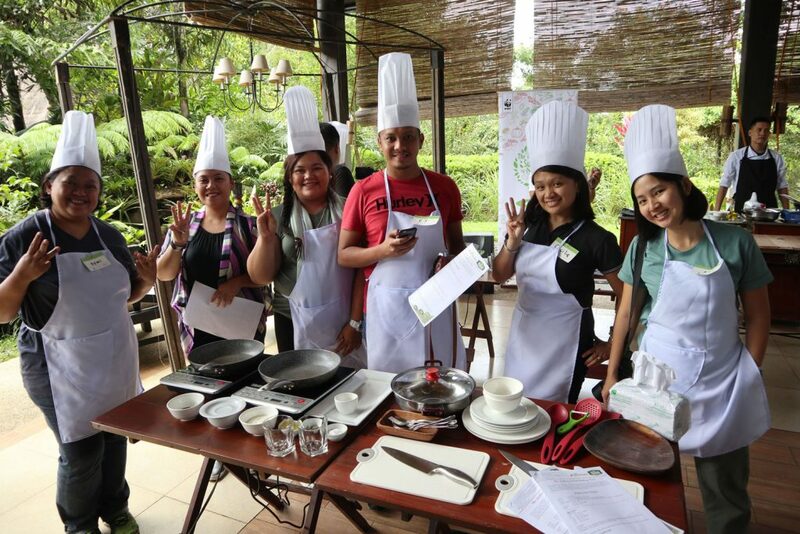 The cooking session was followed by two tours – a bokashi composting tour and a Farmacy tour. But that’s a story for another day. 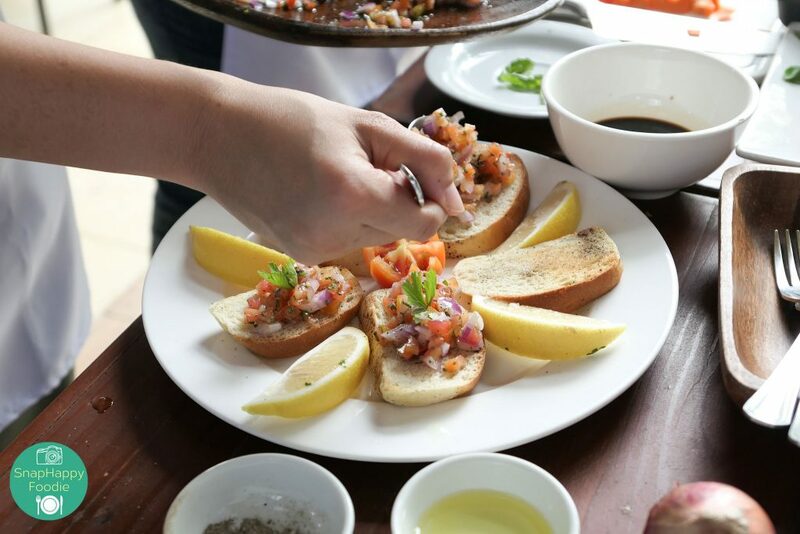 Disclosure: I attended this food event for free in exchange for writing about this event on this blog. While this is a sponsored post, all opinions are my own. The photos in this post are taken by WWF-Philippines and yours truly.